This book is the latest publication by Southwell Civic Society. The tour is an easy walk of about 1 1/2 miles. It includes most of the notable historic buildings and views of the town. There is the option for a one mile extension to include the National Trust Workhouse. The booklet is available from the Cathedral Bookshop in Southwell, Gossips Cafe in King Street and The Bookcase in Lowdham. Price £3.00. This book is no longer available. 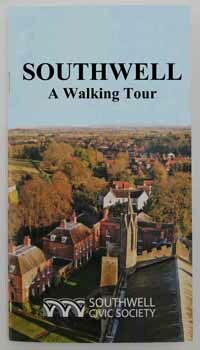 It has been replaced by 'Southwell - A Walking Tour'.